David and Naomi Wenger, June Mears Driedger and Kevin Driedger serve as the coordinators of The Hermitage. In this role, they offer hospitality, spiritual direction, worship leadership, group facilitation and the permission of silence to the many retreat guests they serve. David and Naomi attended Sursum Corda, a spiritual directors’ formation program of the Episcopal Diocese of South Carolina. Naomi received an MAR from Trinity Evangelical Divinity School and an MATS from Anabaptist Mennonite Biblical Seminary. David is a Licensed Massage Therapist. They have four adult children. The Wengers came to The Hermitage in 2001 when the founding directors, Gene and Mary Herr, retired. Kevin and June are both graduates of Anabaptist Mennonite Biblical Seminary where June received her Masters in Christian Spirituality, and Kevin a Masters of Theological Studies focusing on Biblical Studies. Both also received their spiritual direction training at the seminary. June is an ordained Mennonite minister and has pastored at three congregations. 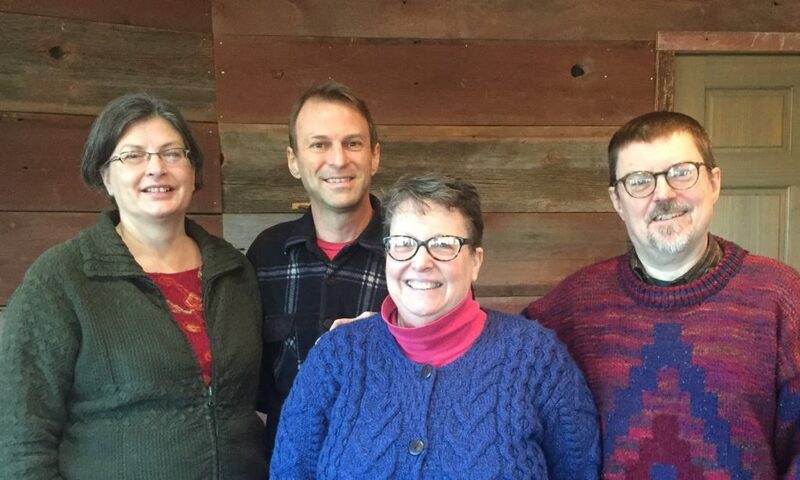 June and Kevin have been connected with the Hermitage since 1999 and joined the resident community in 2018.